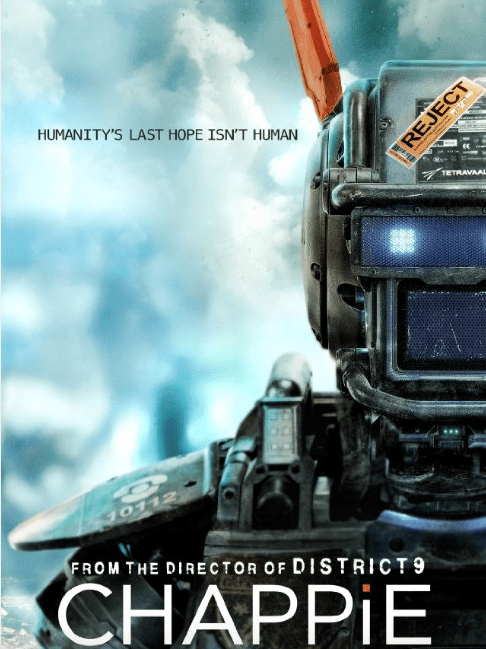 So after a commercial audition today in Rosebank, I decided to goof off and go see the much anticipated new Neill Blomkamp film, CHAPPIE. So basically Chappie is like Robo-Cop meets I, Robot, in a more visceral South African sense, rather than the polish of Hollywood. A scientist working for a weapons manufacturer develops an A.I. program on his own time, which is shut down by his boss. Taking a defunct machine he installs the software anyway. What develops is both touching and at times a sad tale of how as humans we manipulate our surroundings to our own means. What I love about all of the Blomkamp films I have seen, is his connection between Sci Fi and humanity. He asks poignant questions in the film about our own sense of life and death, right and wrong, and what we can do versus what we should do. This is not just a sci fi, action (although there is plenty of that), it is also a story about ourselves, and our search for purpose. The only negative side of the film from my point of view was the rather bad acting from the group, Die Antwoord. I understand the idea behind casting them with their success overseas, but they are so clearly not actors that it pulled me out of the scenes at times, and was cringe worthy at others. However the rest of the cast, and the story, more than made up for their lack of performance. I enjoyed the film and would rate it an 8/10 and A Must See for any Sci Fi, or Blomkamp fans. Who knew creating a website was so time consuming!